dommage qu'il n'y ait pas une taille un peu plus grande .5/7 par exemple? 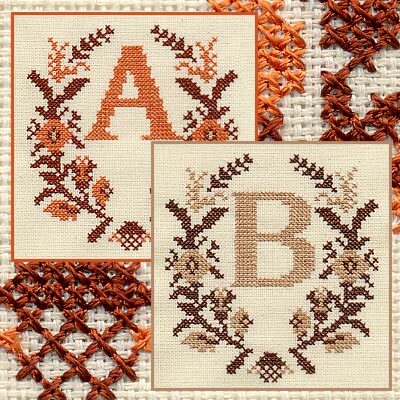 A lovely cross stitch alpha, but can only use 4x4 . thx. Probably, the others are the same size. Please add sizes to your descriptions. Thanks! Love your Cute Alphas!!! why is this font not free?i have two subscription one to Cute alphabets & the other to amazing designs.ya'll advertise everything for free,when you subscribe. What size are these letters in the Flowercrossfont?? This font is beautiful. Can't wait to use it. Thanks! This is soooo pretty. I love cross stitch. This design, the stitching, and the colors makes it beautiful! Thank you. This is very pretty and would be a wonderful design for this time of the year! I would like to purchase FlowerFont Cross alphabet but I can't seem to buy it with my credit card??? Isn't that what makes us all so unique, I love the Xstitch design in this font!